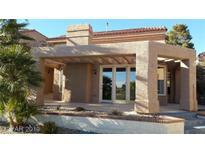 Below you can view all the homes for sale in the Villas At Spanish Trail subdivision located in Las Vegas Nevada. 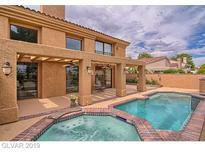 Listings in Villas At Spanish Trail are updated daily from data we receive from the Las Vegas multiple listing service. To learn more about any of these homes or to receive custom notifications when a new property is listed for sale in Villas At Spanish Trail, give us a call at 702-323-5933. Home Is Being Sold As Is Without Warranties Or Repairs. Reo. MLS#2087979. Coldwell Banker Premier. New flooring. New lighting fixtures. New baseboards. MLS#2084843. Elite Realty. A must see home!LEASE BUYOUT-30 DAY MOVE-IN MLS#2084636. Turn Key Property Solutions. Marble, Granite and Hardwood Floors throughout. MLS#2083334. Investpro Realty. Sliding doors off dining, kitchen, back. Spa much more MLS#2078951. Rossum Realty Unlimited. Wine Fridge. Custom Lighting. Central Vacumn MLS#2072262. Award Realty. HOA Includes Exterior House Painting Every 4 Years, Trim Painting Every 2 Years, Roof Maintenance, Front Landscaping, Recently Remodeled Gym Access, Tennis Courts, & Pools. MLS#2068576. Easy Street Realty Las Vegas. Spanish Trail boasts numerous amenities included w HOA. MLS#2066445. Huntington & Ellis, A Real Est.